Krrish 3 has emerged a blockbuster but is unlikely to hit the 200 crore nett mark due to a big fall in business at the start of the third week at multiplexes. The film has collected around 167 crore crore nett in two weeks and is unlikely to collect another 33-34 crore nett over the next few weeks. If we include the dubbed Telugu and Tamil versions then the film may just get past 200 crore nett the Hindi version alone will struggle to hit 200. 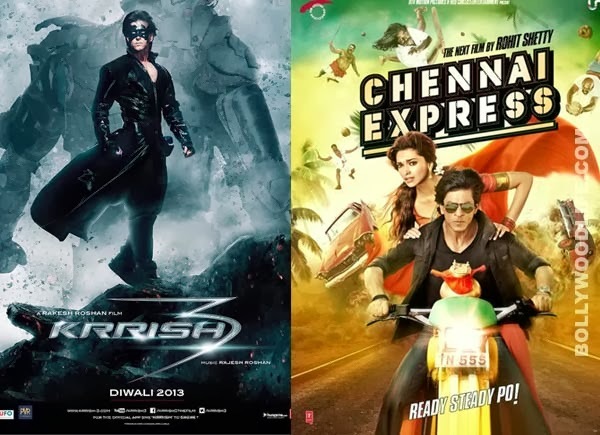 Krissh 3 will probably emerge the third biggest grosser ever after Chennai Express and 3 Idiots both of which crossed 200 crore nett. At the moment third place is held by Salman Khan starrer Ek Tha Tiger at 186 crore nett which Krrish 3 should surpass as long as business shows the normal upturn on Saturday and Sunday.